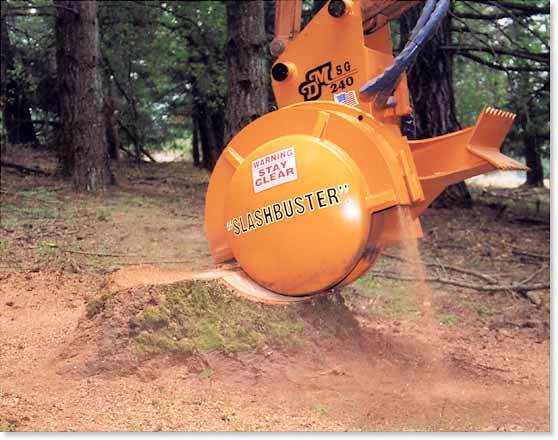 The SG240 stump grinding attachment is designed to be used on backhoe loaders, backhoes and smaller hydraulic excavators. 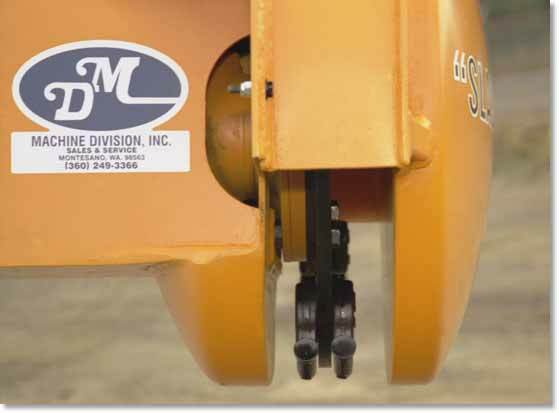 Operated directly from the the existing auxiliary hydraulic circuit, you are now able to add to the income of your machine. The ease of operating this attachment is amazing. The patented guide cones automatically control the depth of your cut on the stump and make the SG240 a stump grinder nearly anyone can operate. It is ideally suited to equipment rental yards and the contractor with small machines. 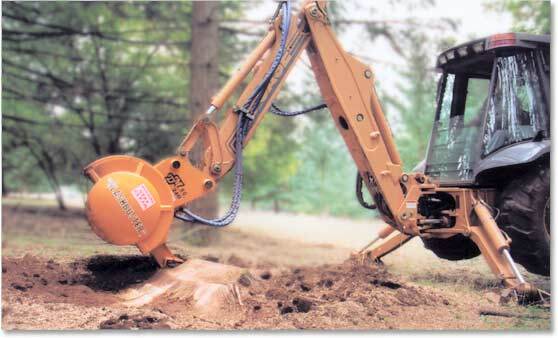 Using its integrated double heel rack to scrape away obstructing soil, the SG 240 easily erases the stump below soil level The double heel rack can also dig out the remaining root system, if desired. Close up of the SG 240 stump grinder teeth. Mounted in pairs, there are four pairs on the cutting wheel for a total of eight teeth.